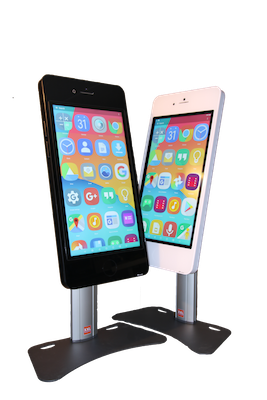 Interactive touch solution! Always everywhere. 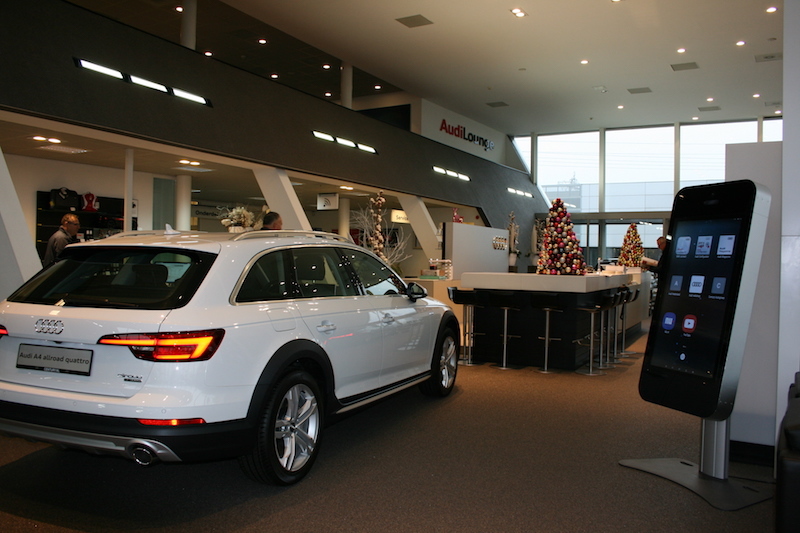 Retail, Showrooms, Museums, Hospitals, Libraries, Reception rooms, Airports, Events…. 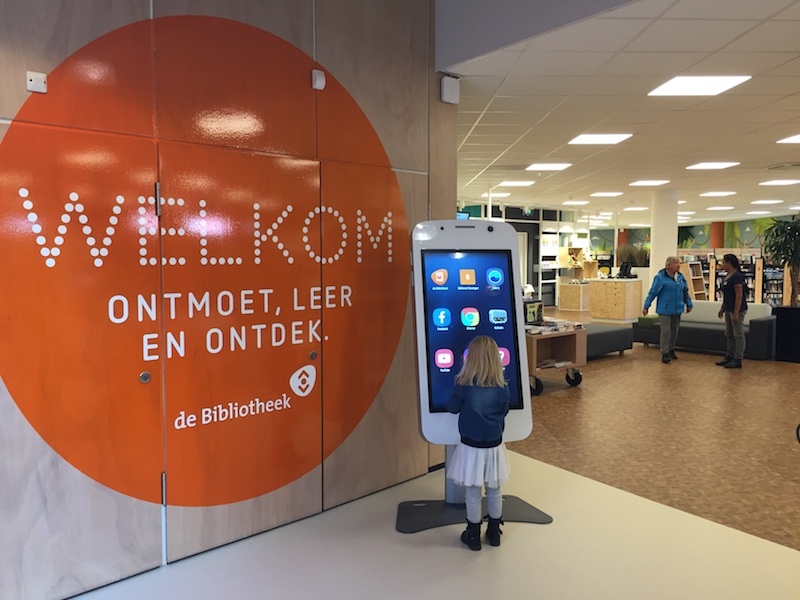 Great opening activity at the reopening of Library Veendam. 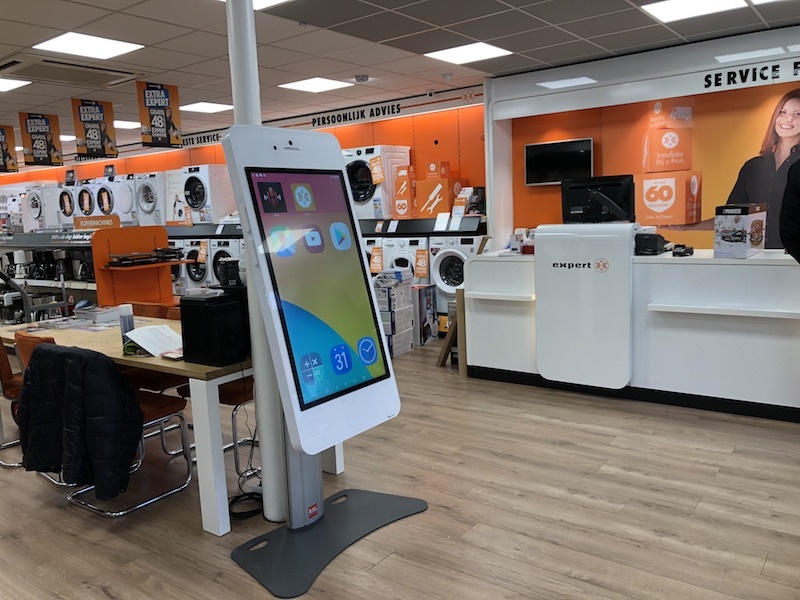 The XXL Smartphone works as a magnet, through the familiar interface and ease of use it is a successful pilot for other libraries. 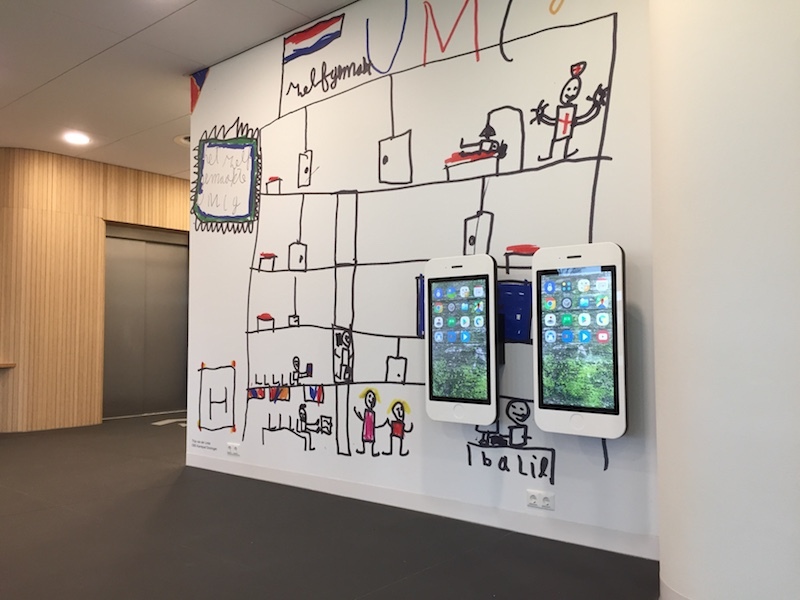 2x 27” XL Smartphone, placed on the newly opened children’s department of the UMCG. The children can shift their minds while playing or watching YouTube on the XL Smartphone. Especially children use the big version of the normal smartphones of today naturally. 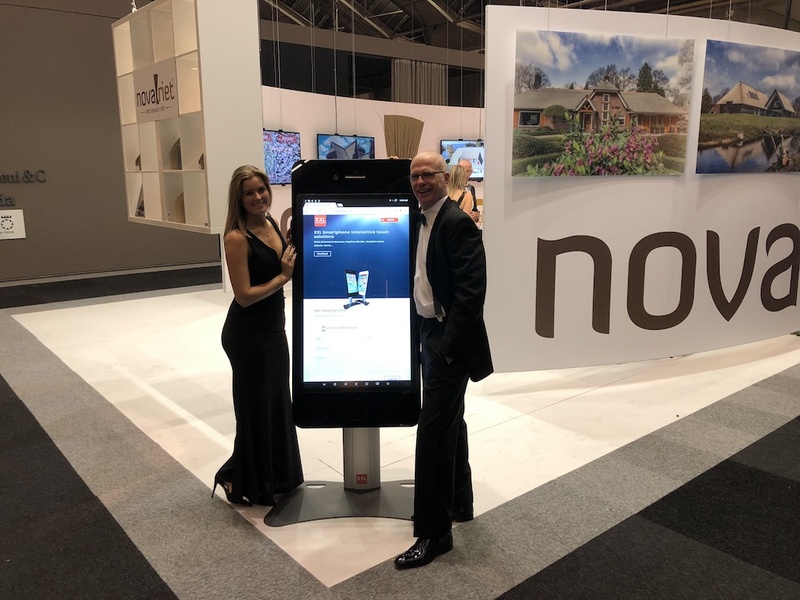 During the Design edition of Masters of LXRY, XXL Smartphone was successfully represented on the booth of Novariet. We provide tailor-made solutions for various chains in the retail sector. Exellent sales tool for Car Configuration, App explanation and more.